At Smalley, customized parts are standard. 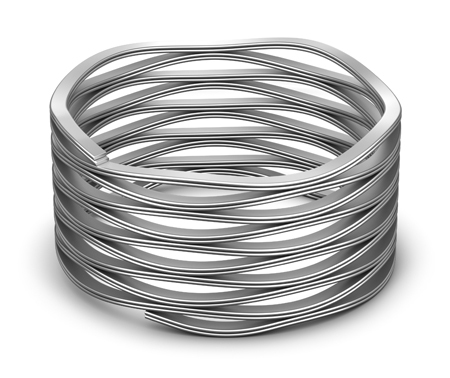 The uniqueness of applications often demands a ring or spring to conform to application specific requirements. 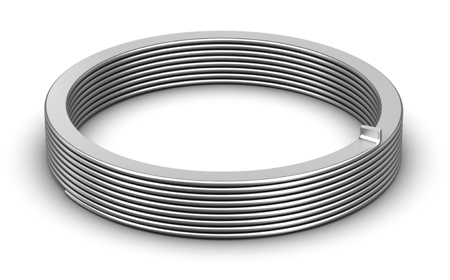 Our No-Tooling-Cost™ process provides an economical alternative, to produce a custom retaining ring or wave spring to meet your exact specifications. Think of it as modifying a standard, many of our product features can be customized. Smalley engineers are available for design consultations. Send us your requirements and we will design or recommend the best solution for your application. A common misconception of custom designs is the cost. Because of Smalley’s unique manufacturing process, application specific retaining rings or wave springs can be an economical solution for your unique needs. With No-Tooling-Cost™, we have the flexibility to manufacture products of at a minimal cost. This means that during the prototype stage we can produce alternative designs with no tooling modifications. It’s not uncommon to produce one prototype for evaluation and subsequently make dimensional adjustments for a second single prototype. That’s two setups, No-Tooling-Charges™ and a final product produced quickly and economically. Smalley is vertically integrated with onsite material manufacturing and a large warehouse. We are able to produce custom rings or springs using a wide variety of readily available materials or can produce custom raw material sizes to meet delivery requirements. For customers who use just-in-time inventory control, Smalley will offer to stock parts for immediate shipment, ready for the next purchase order or blanket order release. Whether you are looking for prototypes, short-runs or high volumes, Smalley’s unique No-Tooling-Cost™ manufacturing process allows for custom designs to be manufactured in a timely fashion. Since no custom dies or forming tools are necessary for custom rings or springs, prototypes can be designed and produced in days, not weeks.